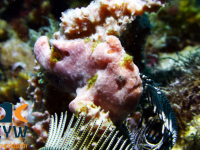 Antennarius pictus is similar to the Warty frogfish (Antennarius maculatus) but warts are absent (in juveniles) or much less pronounced, color and marking patterns are highly variable, most have circular spots in various sizes with light edges. It has a long illicium with a bushy lure, with sometimes darker (red) areas in it. This species almost always has at least three light-edged spots on the tail. 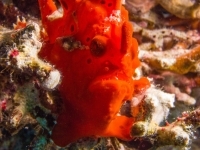 Unassessed by the IUCN Red list, but a fairly common species in tropical waters. Indo-Pacific. East Africa to Hawaii and Society Islands in French Polynesia, South Japan to Australia. Inhabits a variety of reef habitats down to 73 meters. 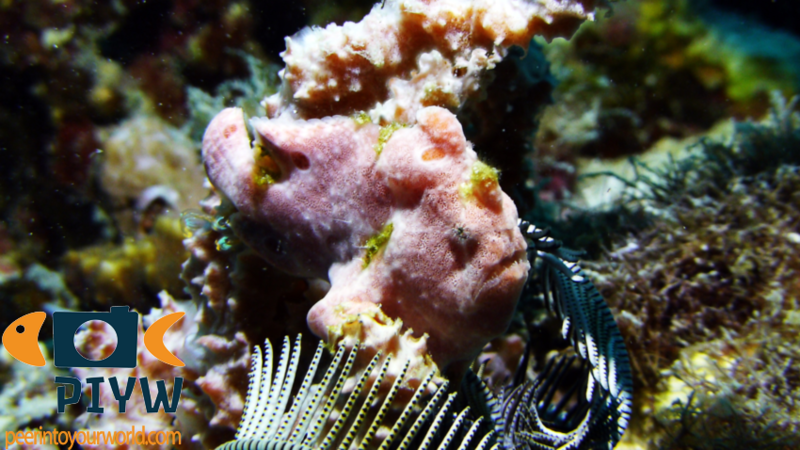 It can usually be found on or near sponges. Oviparous. Eggs are bound in ribbon-like sheath or mass of gelatinous mucus called ‘egg raft’ or ‘veil’. 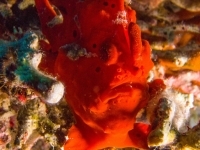 Antennarius pictus feeds on smaller fish which it ambushes. 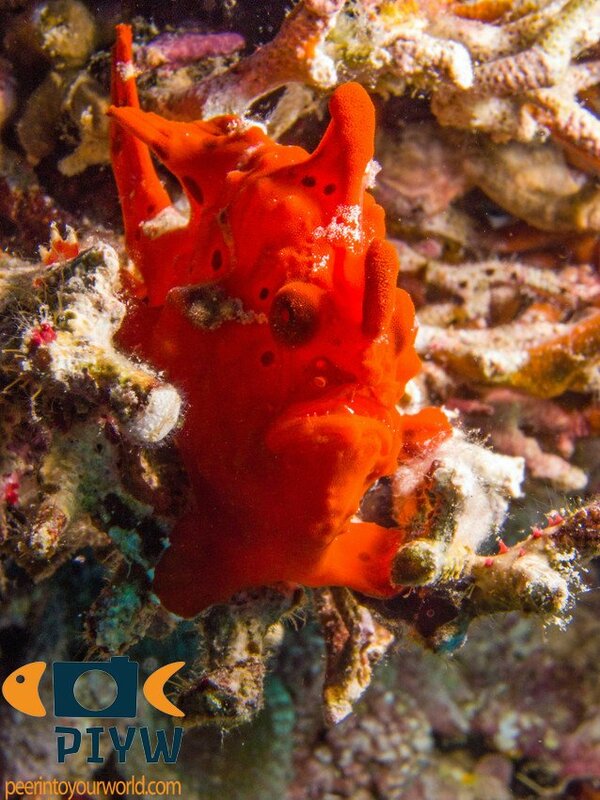 It can move forward from cover, using its tail and big pictoral fins. 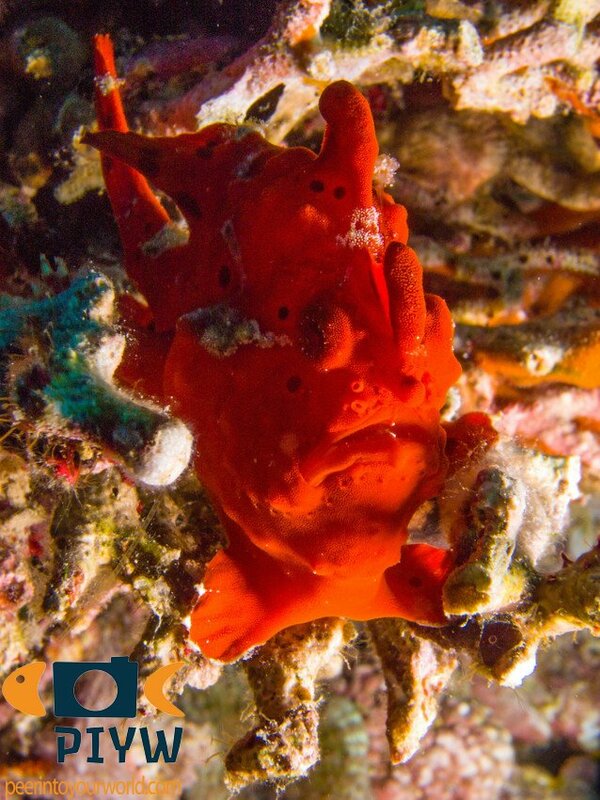 It can change color to match its surroundings in several days up to weeks.